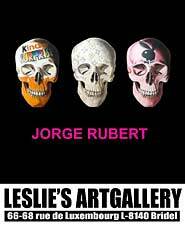 Go to the list of books about contemporary art, recommended by Leslie's Artgallery and available at Amazon® (USA, France, Germany). 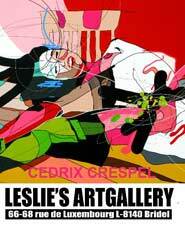 Order your book published by Leslie's Artgallery and available at the Blurb Bookstore. This book features a hand-picked selection of young emerging artists from various corners of the earth. 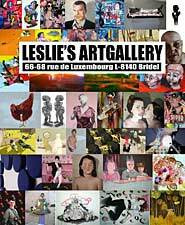 Some of the artworks presented have been exhibited at Leslie's Artgallery during the last three years, but the book also includes artists who will exhibit at the gallery in the future, giving the reader a preview of what is to come, and who will define the upcoming surge of new art according to the vision of Leslie’s Artgallery. 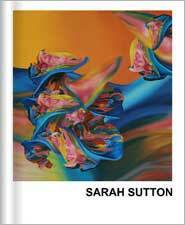 Sarah Sutton's work is being influenced by a molecular reality, whether macro- or microscopic, whether animate or inanimate. In her paintings the artist creates a metaphorical space where references to the internal body and landscape, microscopic and macroscopic worlds are interconnected. 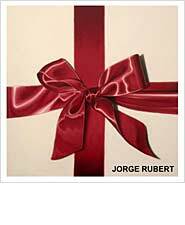 Jorge Rubert is a Visual Artist, who has an interest in figurative Realism contemporary art. Jorge's work reflects a personal journey through realism. There is a strong influence from the Spanish and Italian Baroque period. Old masters that he loves and are always present in his work, as he uses timeless classical painting techniques. Taking further influence from mass culture and the contemporary art scene, Jorge takes anything visual around him and turns it something personal, despite its origins. Billy & Hells are actually two photographers: Anke Linz and Andreas Oettinger. They met in 1986, were in love with photography and started to work together and made their first pictures in a studio in Munich. Inspired by the photos of Diane Arbus, Irvin Penn and Richard Avedon, Billy & Hells started working as two professional photographers in the field of fashion photography for advertisement and magazines. "I don't stick to the word contemporary, I prefer the term modern. I'm more into street art, skateboarding, graffiti. I really want to be my generation. What matters to me is the urgency and action." Teiji Hayama's paintings join together western and Japanese influences, combining different art historical periods varying from Christian art, Greek mythology to contemporary Japanese pop culture and Ukiyo-E.
"I want my portraits to have a psychological charge and the viewer to feel the fragility of the transition from childhood to adolescence, a physical and mental transitional stage involving social and psychological changes." "In my work, I try to push figuration and narrative beyond the boundaries of tradition. In my paintings and works on paper, I often use multi-panel or non-rectangular formats. 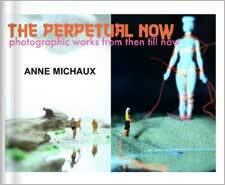 By breaking out of the conventional picture plane, or expanding within its framework, I can be more inventive." "...I think beauty is subjective, as is all art. What one person may find beautiful and interesting another may find it ugly and repulsive. I can only answer for myself what I find beautiful and what interests or excites me. Everyone is entitled to his own aesthetic experience. 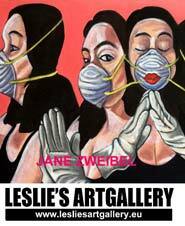 The relationship between the artist and viewer is like a conversation...there is room for disagreement..."
Order your book published by the artists of Leslie's Artgallery and available at the Blurb Bookstore. 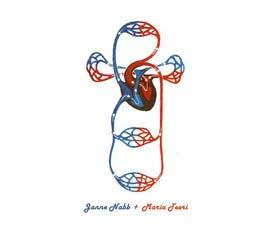 Janne Nabb's and Maria Teeri's work is largely based on becoming aware, playing, searching and finding the unlooked-for. Together they arrange the parts of their collaborative installations. They constantly keep watch on the other one's reactions, like in any interactive game. In existing space they construct inner worlds, absurd realities including abstract elements and readymades.